Lock In. Lace In. Dial In. 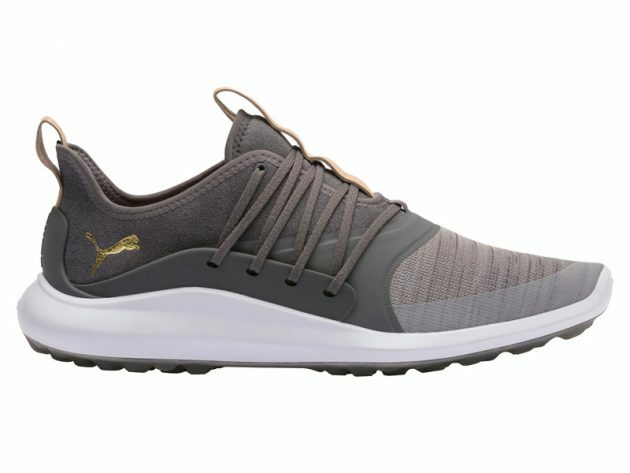 The NXT collection provides wearers added stability and comfort in multiple show-stopping designs, featuring PUMA’s proprietary DISC technology, a traditional lacing style, and the new SOLELACE, for the ultimate in locked-in comfort. Each of the models in the NXT family are built from the ground up using PUMA’s Pro-Form TPU outsole with an organically-altered traction pattern, featuring over 100 strategically placed directional hexagon lugs in proper zones, for maximum stability and traction. In addition, a full-length IGNITE Foam midsole, wrapped in SOLESHIELD for added durability, delivers unparalleled comfort and energy return to help golfers play their best all day long. SOLESHIELD is a new micro-thin TPU film that is vacuum-formed around the midsole to make cleaning off dirt and debris a breeze. The upper features a flat-knit waterproof mesh vamp with PWRFRAME reinforcement. The PWRFRAME TPU is an ultra-thin frame that is strategically-placed in high stress areas of the upper for lightweight support and increased stability. 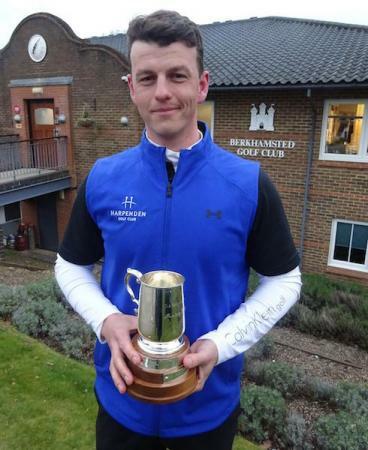 “The popularity of our IGNITE SPIKELESS footwear surpassed our early expectations, as golfers of all ages and skill levels have recognized the comfort and convenience benefits PUMA’s spikeless performance footwear can provide,” said Andrew Lawson, Product Line Manager, PUMA Golf. 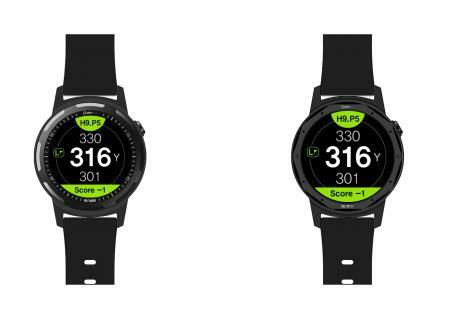 Below are additional specifics about each of four models in the IGNITE NXT family, each which come with a one-year waterproof warranty and are available from Feb 15th. The new IGNITE NXT SOLELACE combines the comfort of IGNITE foam, with the superior traction and stability of NXT technology and the brand’s most innovative closure system to date, SOLELACE. 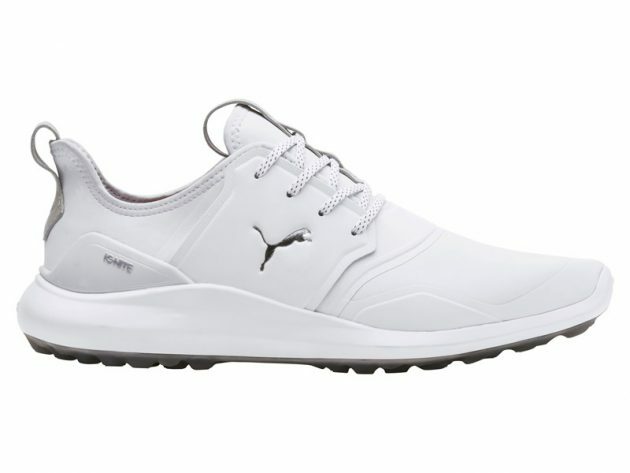 SOLELACE is a super strong and lightweight TPU units attached directly to the midsole allow the laces of the shoes to completely envelop a golfer’s foot, offering 360-degree support. In addition, the design allows the laces of the shoes to pull the midsole and outsole of the shoe via the SOLELACE units, rather than the laces simply tightening the upper around the foot like in a traditional shoe, which helps provide the ultimate ground feel. While the PERFORMANCE MESH upper combined with PWRFRAME give you a secure locked in fit. Available in four stylish colorways - Burnt Olive/Aged Silver/Black, Black/Team Gold, Gray Violet/Team Gold/Quiet Shade and Peacoat/Team Gold. Like the SOLELACE version, the IGNITE NXT utilizes the same blend of Performance Mesh + TPU, IGNITE Foam and ORGANICALLY-ALTERED TRACTION technologies to deliver multi-surface comfort and enhanced spikeless performance golfers will love. 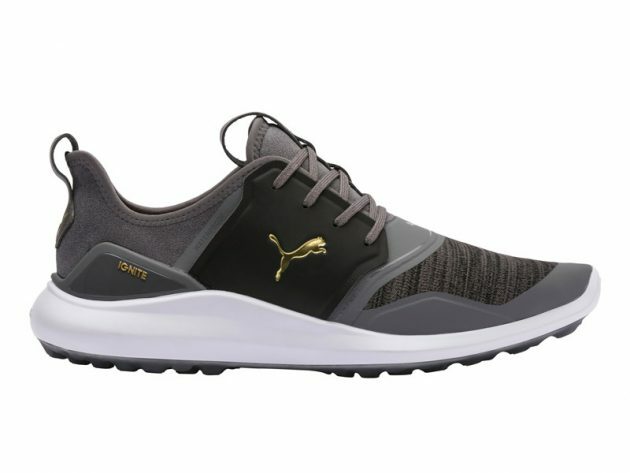 However, in this model, the mesh upper with PWRFRAME reinforcement combines with PUMA’s new PWRCAGE technology that offers a super strong lightweight TPU saddle that is decoupled from the upper to provide excellent support and stability throughout the swing, in a traditional lace enclosure style with a modern twist. Available in four on-trend color combos - Quiet Shade/Team Gold/Black, Black/Silver/White, High Rise/Team Gold/White and Peacoat/Team Gold/White. Like the traditional lace version, the IGNITE NXT DISC utilizes the same blend of PWRFRAME, IGNITE Foam and ORGANICALLY-ALTERED TRACTION technologies combined with the innovative new PRWCAGE for added support and stability throughout the swing. 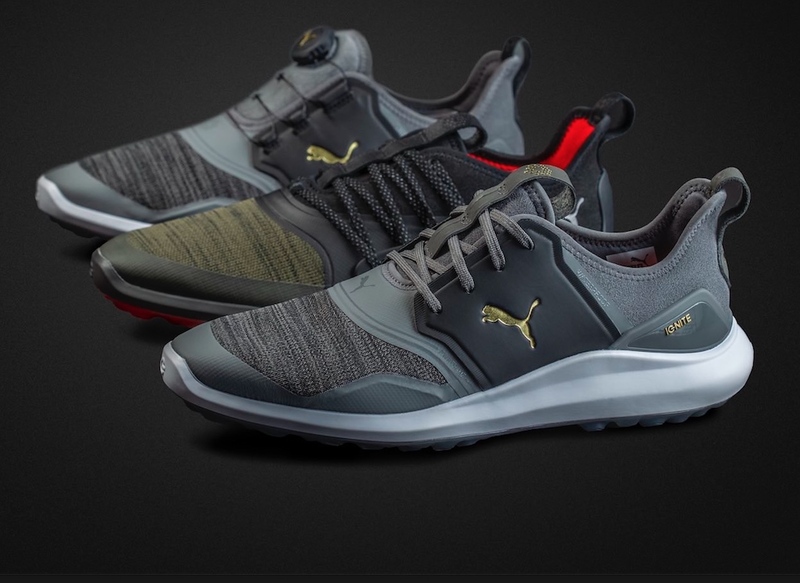 In addition, PUMA’s proprietary DISC tightening system delivers ultimate convenience with a micro-adjusting dial system that quickly and easily secures golfers’ feet for a locked-in, consistent and custom fit. Available in the same stylish colorways as the LACE version - Quiet Shade/Team Gold/Black, Black/Silver/White, High Rise/Team Gold/White and Peacoat/Team Gold/White. The IGNITE NXT PRO offers an alternative to the Performance Mesh + TPU construction of the other three shoes in the IGNITE NXT family, while still providing next gen comfort, stability and traction. 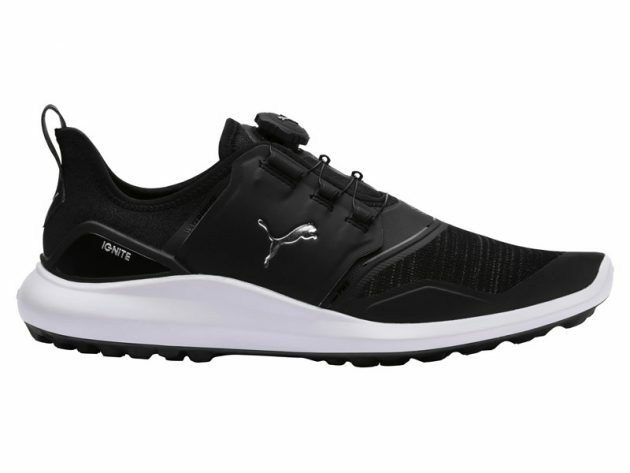 IGNITE NXT PRO utilizes a microfiber upper with PWRFRAME reinforcement, and decoupled PWRCAGE pieces to provide a secure fit for golfers desiring less flex from their footwear. Available in three sophisticated colorways - High Rise/Team Gold/White, Black/Team Gold/White and White/Silver/Gray Violet. 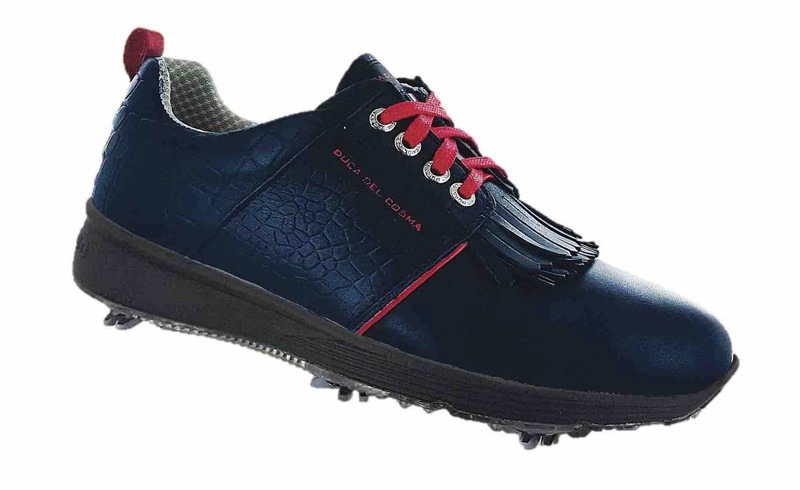 The ladies’ version comes equipped with the same technologies utilized in the men’s versions including the Organically-altered traction new SOLELACE closure system, performance, non-stretch waterproof and breathable mesh and IGNITE foam for extreme comfort. The ladies’ version comes in three on-trend colorways – Peacoat/Metalic Pink; Black/Metalic Pink and Quarry/Caribbean Sea. 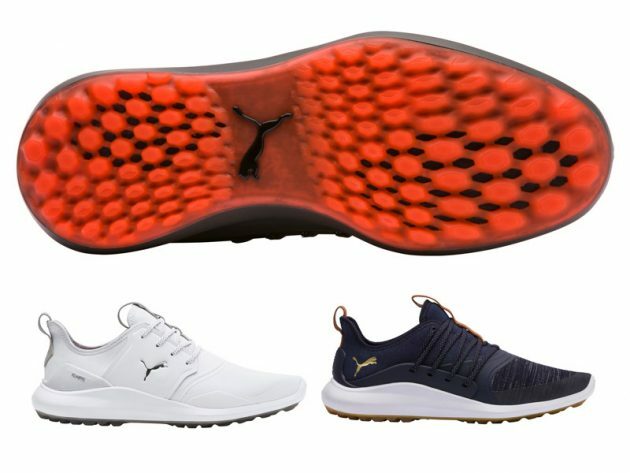 For more information on PUMA Golf’s IGNITE NXT footwear collection visit https://www.cobragolf.com/pumagolf/men/shoes.